Having kids can make it tough to get out to restaurants. All those nice places you used to love as a couple may not be appropriate for the whole family. Yet, there are still places the whole family can go without having to worry about sitting still and facing the ever-looming glare of their fellow diners. If you're looking for togetherness and fun, it won't be hard to find the perfect eatery. Across the nation and for more than a generation, Chuck E. Cheese's has been offering pizza, games and entertainment for the whole family. At Chuck E. Cheese's, with the right amount of money for tokens and tolerance for noise, parents can let the kids run around and have fun. Depending on how much play time you're seeking, plan on spending $10 to $30 per kid on tokens. With more than 500 locations in 46 states, chances are there's a Chuck E. Cheese's within range of you. If you want more than pizza and salad, then Dave and Buster's, found in many major metropolitan areas, might be a better option. Dave and Buster's offers full, sit-down meals with a variety of appetizers, pastas, salads, burgers, steaks, entrees, desserts and more. 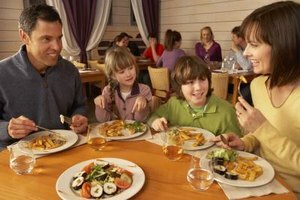 Food prices are family friendly, with the average entree between $9 and $15. Down the hall from the dining areas are giant arcades with games for both kids and adults. Dave and Buster's offers everything from basketball shooting games to video games to trivia challenges. All the games offer the chance to win prize tickets, which can be turned in for a small toy or stuffed animal. Depending on how much play time and which games your family likes, figure on spending at least $20 per person. One of the most familiar names in restaurant-dom also has playgrounds and games. For decades, parents have been taking kids to McDonald's for Happy Meals and a child-friendly environment. In December 2006, McDonald's tried something new, piloting R Gyms in seven restaurants. These play areas feature interactive games including physical activities like obstacle courses, basketball hoops, and stationary bikes with video screens to simulate riding. In some R Gym locations there are also Toddler Zones, with games to develop coordination and social skills, Active Zones, with games appropriate for ages 4 to 8, and Sports Zones, with games targeted at ages 9 to 11. 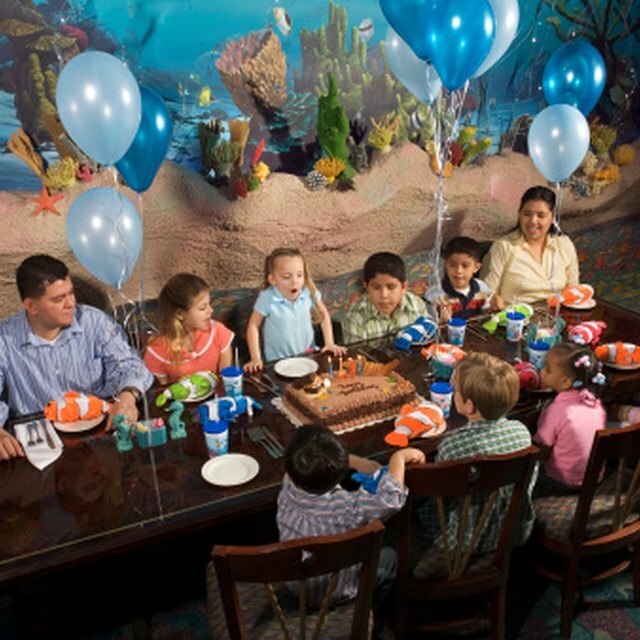 Communities throughout America often have their own local eateries with games for kids. For example, Roaring Rapids Pizza Company in Eugene, Oregon, offers a sizable arcade including air hockey tables for kids and grown-ups alike. GameWorks in downtown Seattle offers a family restaurant serving sandwiches, pizza and salads as well as a two-story arcade and virtual reality games of all sorts. Much like Dave and Buster's, families can expect to spend no less than $20 per person on entertainment at GameWorks and roughly $10 to $15 per person on food. And many towns offer at least one play cafe or coffee shop with an area for harried parents to drop the kids while they relax with a latte or iced tea.